Today I'm feeling pretty miserable...I've got a really bad spring cold. Watery eyes, tiredness, completely stuffed up nose...you get the picture! So, no recipes on Wee Kitchen today, but I will share a photo I took over the weekend of some of my favorite springtime flowers: ranunculus. 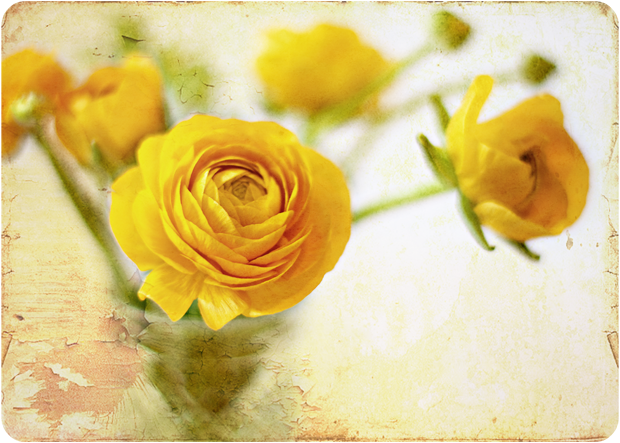 Textures by Shadowhouse Creations and Kim Klassen.